Battery cables are used in a wide variety of applications to power your electrical systems. You need to use a battery cable to establish a connection between the battery and the vehicle’s electrical peripherals, RV, golf cart or solar panel. 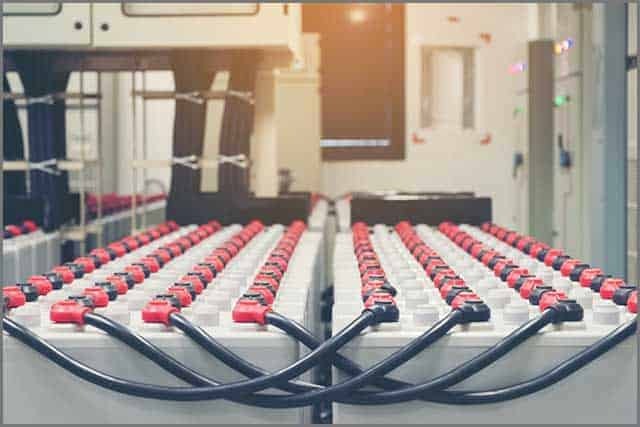 There are many types of battery cables available depending on the application, and sometimes you may be confused about the required battery cable. Do you distinguish the blown battery cable from the booster battery cable? Can you tell the difference between the ring terminal and the stud top? You can find all the information about the battery cable and its applications in this helpful guide and determine which ones are right for you. You can also contact our support team to customise your cable assembly. Let’s start reading right away. Chapter 1 – What is the Battery Cable Assembly? Battery cable assembly or harness is a set of cables of varying length. 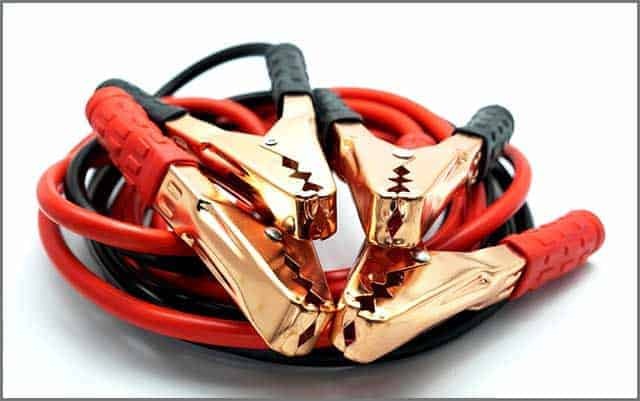 You can use the cables to hook up one or more batteries to the electrical system of cars, trucks, boats, solar power systems and other equipment. The battery cables come with terminated ends to easily connect with your battery. You can also choose from a wide range of terminals and boots based on your application for meeting the needs of different jobs. 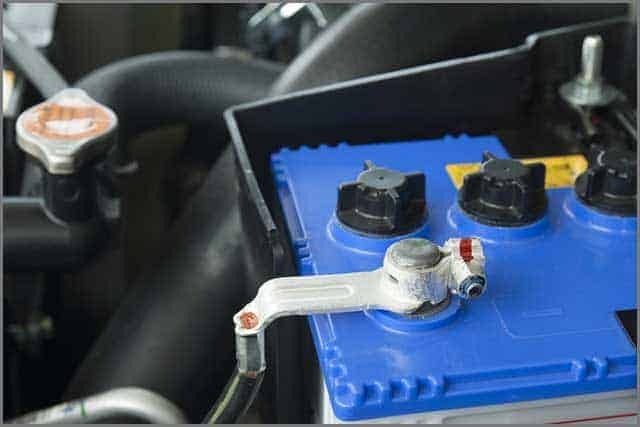 The battery cables are generally exposed to harsh conditions like vibration, heat, corrosion or moisture as they run from the battery to different parts of the automobile. For this reason, they make use of good quality and thick wires which can withstand extreme conditions. Battery cables are built according to specifications dictated by OEMs and manufacturers. But you can also order custom battery cables of varying size, length, types, terminals, and colour. Unlike other cables, battery cables are meant for use only with batteries and electrical systems. They are not general purpose wires that you can use, for example, connecting a device to the power source. 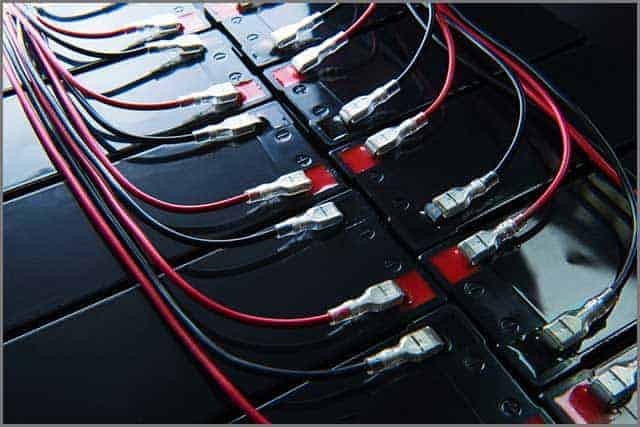 Battery cables often come in the form of harnesses and provide many advantages over loose cords and wires. They are bounded into a harness so that even you can save space and make them withstand adverse conditions like corrosion and vibration. Also, if they came in the form of loose wires, you will need to extend them all over your automobile. Battery cables are designed to last for a long time and reduce the risk of shorts. You can also expect a standard process of installation as the terminals can easily connect to the battery and the electrical system without any confusion. Without battery cables, all our vehicles, boats and equipment would sit idle. You will need battery cables to provide power to the electrical system and make them functional. Now that you know what a battery cable is let us proceed to discuss the different types of battery cables. 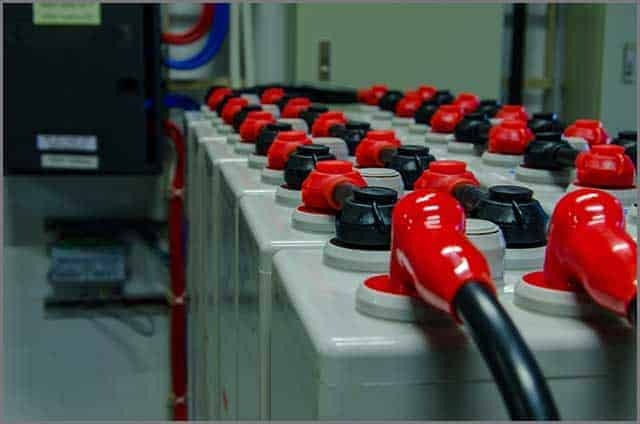 Battery cables can be of different types, and it is crucial that you know what their specific uses. 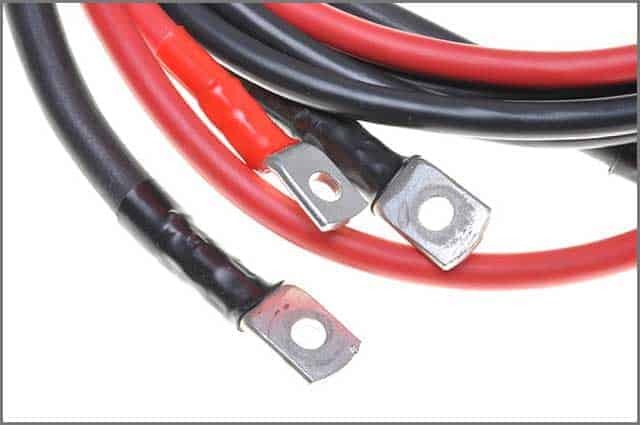 In this section, you will find out the difference between battery leads, automotive primary leads, welding leads and marine duty wires. Tapered post battery cable assemblies are used for cable applications for all major OEMs. You can also take their help for grounding cable and switch to starter cables. These are suitable as top post battery cables and come with straight battery terminals for easy installation. The tapered post terminals can be ordered in stamped brass, lead or forged bronze and may or may not have an internal steel reinforcement ring. You can also choose from different plating options, lengths, and double-headed nut configurations. Tapered post battery cable assemblies are made to withstand abrasion, oils and liquids, coolants, diesel fuel, ethanol, and other harmful elements. You can even customise heat shrink and covering options according to the needs of your project. Ring to ring cable assemblies feature a ring terminal on both ends and are useful for various applications. They are ideal as threaded post battery cables, or you can use them as the switch to starter cables. Ring to ring cable assemblies are also suitable for power distribution, and you can easily connect them using the ring terminals. They may also be applied for point to point grounding and you can crimp many wires in the same terminal. The cables have high pull strength and come with additional corrosion resistance for long life. You can choose from brass and copper options and go for different plating combinations. A Flat/Ground Strap Battery Cable Assembly is used for grounding purposes and can suits traditional, wind, biofuel and solar power sources. Many industries such as transportation, OEMs, military, aerospace, medical and commercial sectors use the cable assembly for their grounding needs. In the case of automobiles, the ground strap assembly is utilised to connect the negative terminal of the car battery to your car’s chassis. Ground straps act as the foundation of the entire electrical system. 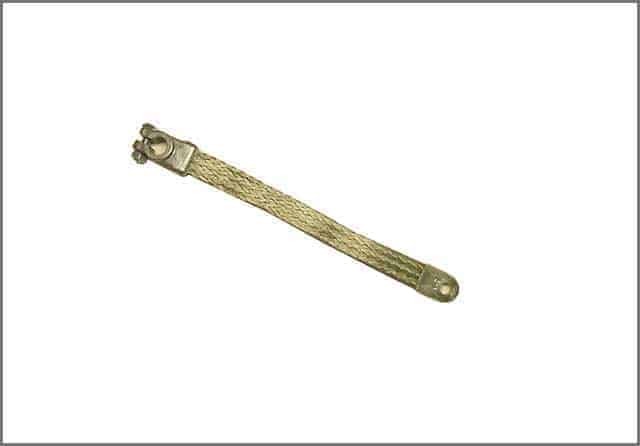 Flat or ground strap battery cable assembly can be flat or round and come with terminal options like an open barrel, lug, stamped thimble, and lead cast. The cables are generally flexible and devoid of insulation so that they take up minimum space so that you can route them without any problems. 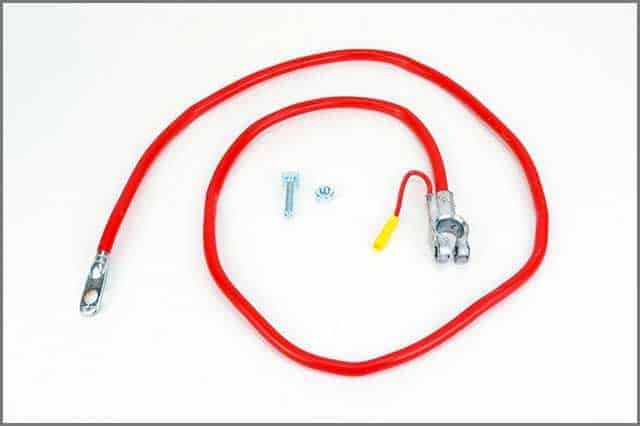 Booster battery cable assembly is generally used to carry battery power through your vehicle. The assemblyis made in a way that it suits limited space requirements for transferring power. 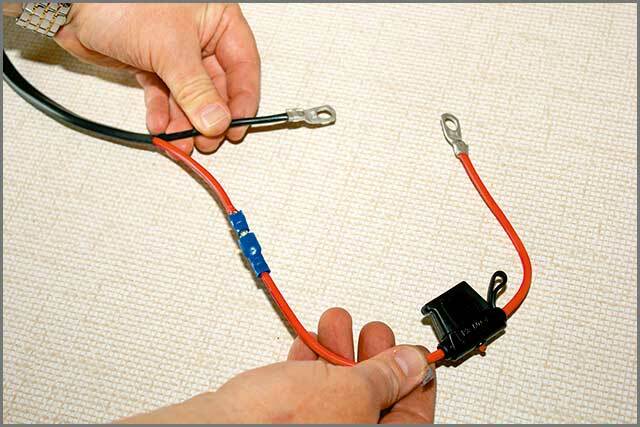 You may also use booster battery cable to jump start another car with a weak or dysfunctional battery. The battery cable assembly comes in different gauge sizes, and you can also go for the moulded or printed stripe to differentiate the conductors. It is also designed to match specialised cutting tools you use for circuit splitting and ideal for coiling operations right out-of-the-box. Like other cable assemblies, you can customise the length and thickness of the booster cable assembly. Fused battery cable assemblies allow you to establish a safe and simple interconnection between the battery and electrical systems and components. The assembly is suitable for high-current applications, and the fuse is tuned to adjust to the particular operating specifications. The fuse protects the electrical system of your car or equipment by disconnecting the power when the current crosses the specified limit. You can customise your fused battery cable with different form factors like INMEGA, INMIDI, and Maxi fuse. Existing products can also accommodate custom design fuses so that you don’t have to order a new batch of cables. The cable assemblies can withstand high temperatures of over 100-degree Celsius. Now we will explore the different types of battery terminals. Elbow top post battery terminals feature an elbow-shaped connector and come along with nuts and bolts for easy installation. You can purchase a right or left elbow terminal based on your needs. The terminals are useful when you have limited space and can even provide different looks. 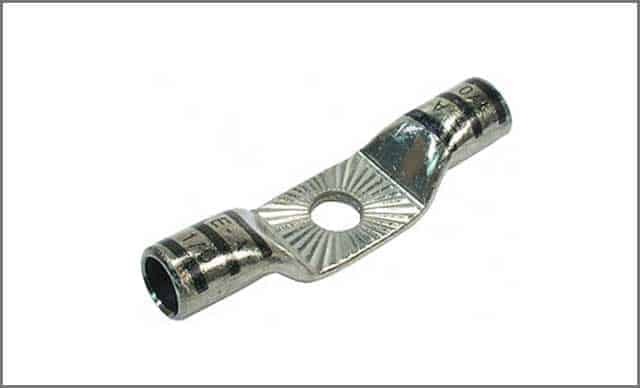 Generally, elbow top post terminals are a bit expensive than other connectors. Many OEMs use heavy duty side post or stud top terminals as a replacement for cable connectors for high-current applications. You can find them mostly in new car models, and they are suitable for use with stud top industrial batteries. The side posts come in the same sizes, and you should check the polarity to avoid incorrect connections. You can connect multiple stud top batteries in a parallel connectionusing double barrel stud top terminals. They are similar to flag terminals and come with holes so that you can accommodate several batteries. The terminals are also ideal for grounding in the centre of a ground cable. 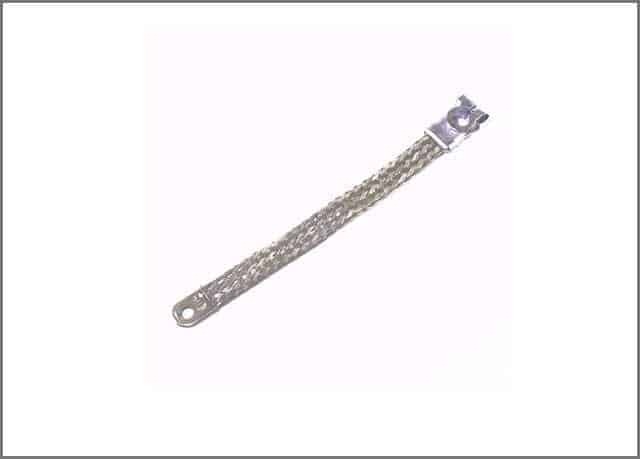 The connectors are generally electro-tin plated for corrosion resistance and better conductivity. Ring terminals or ring connectors are used in low-voltage DC applications. You can either crimp them or solder them to the cable to establish conductivity. The size of terminal rings depends on the diameter of the terminal ring and size of compatible cable. 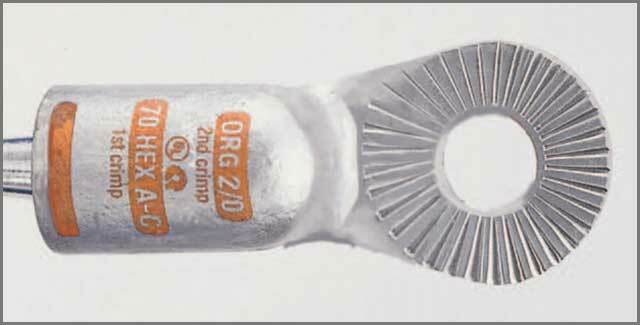 Ring terminal or lugs are used to connect a deep cycle battery, starter, alternator or solenoid. The terminals are made of thick metal and are wide and expensive. 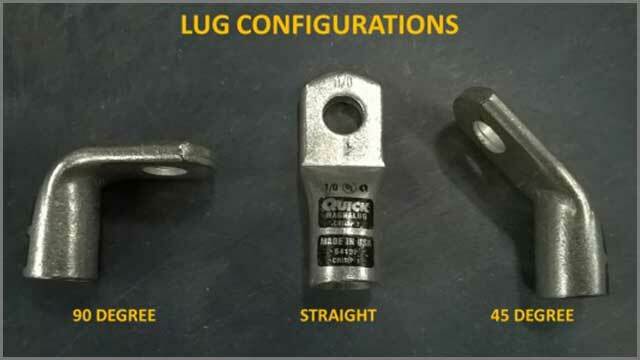 Heavy duty battery terminals use more metal and are durable than other connectors. They can also feature a 45-degree or 90-degree bend and come in different sizes. 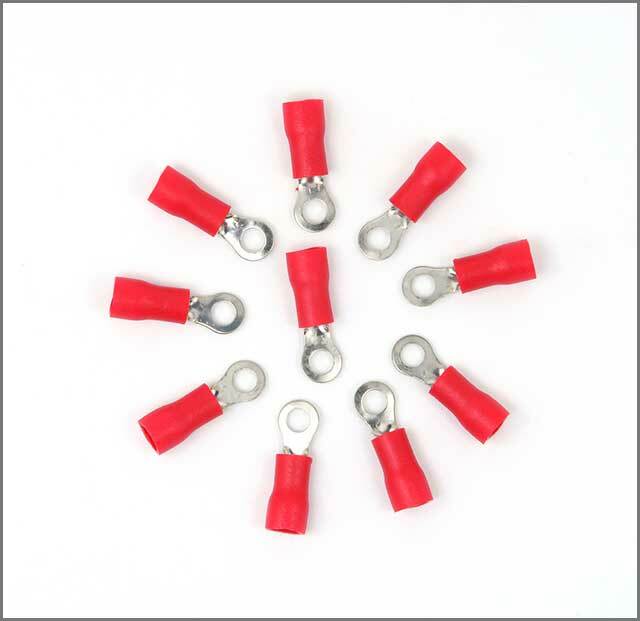 Heavy duty battery terminals are similar in appearance to ring terminals. In the next chapter, we will find out the applications of battery cables. Battery cables are most commonly found in automobiles and transfer electric current from the battery to the vehicle’s electrical parts. You will generally find two cables- the positive cable which connects to the starter and the ground cable which connects to the engine block or the chassis. Most of your automobile’s electrical components will ground to the chassis or engine block. Battery cables enable you to start your engine and provide power to different electrical parts. One of the main advantages of battery cables is that it is used to power the electrical of your automobile. You will not be able to operate your automobile without a proper battery cable assembly. A disadvantage of automobile battery cable is that you cannot use it for other purposes. You may also need to replace them after some years as they withstand harsh conditions, vibrations, and abrasion daily. 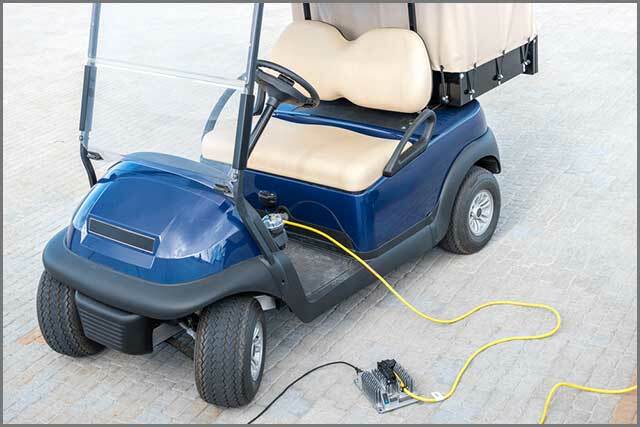 Golf Carts form a unique application of battery cables. You will need a battery wire for your golf cart to connect the electrical parts if you have installed extra batteries. People who modify their golf carts with larger motors will also require battery wires. You can customise the terminals to match the needs of your final application. Solar panels are connected to sets of batteries to store the power generated from the sunlight. You will have to use a battery cable to connect the solar panels to the battery banks for transferring the power. If you are driving an RV, you may also require battery cables to connect extra batteries to various electrical peripherals like lights, TV and other gadgets. Braided ground cables come in use when you are mostly dealing with restoration projects. You can order flat braided cables that perfectly match the stock cables in your vintage car including the terminals. Generally, they come with a ring terminal on one end and a top post terminal on the other. Booster cables, also known as jumper cables are necessary when you need to jump start another vehicle. Booster cables can have either universal clamps or parrot clamps. Universal clamps are suitable for connecting to side post terminals in restricted spaces. Parrot clamps come handy when you are connecting to top post terminals. In the last chapter of our post, we will discover the implications of positive and negative battery cables. 4.1What is Positive Battery Cable? You will need a positive and negative battery cable to power your car’s electrical systems. The positive cable is red and connects to the positive terminal of the battery and the car’s motor and electrical system. You can purchase a pre-terminated positive battery cable or use a crimper to terminate your connectors. If you are buying pre-terminated cables, ensure that the terminators match those of your vehicle’s electrical systems, battery and starter motor. You can use a crimper to terminate positive and negative battery cables manually. Battery clamps enable you to hook the battery cable with the positive or negative ends of your battery. The size of the clamp should match the end of your battery for appropriate connection. 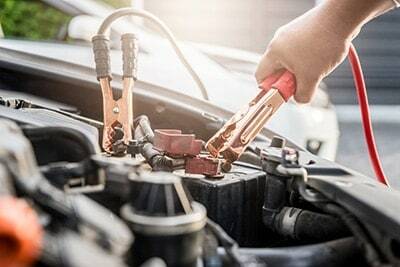 You can find O-shaped and U-shaped lugs on positive battery terminals to connect to your engine block and car’s chassis. 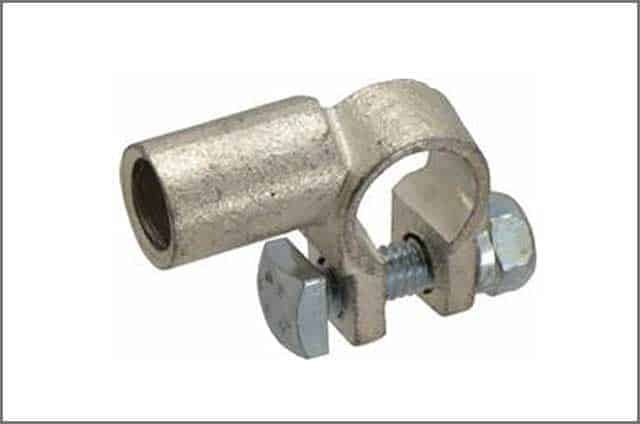 O-shaped lugs are mainly used for bolt-on applications while U-shaped lugs are suitable for screw terminals. 4.2 What is Negative Battery Cable? Negative battery cables are marked with a negative sign and generally black. It is a large cable and may have smaller wires coming out of the battery connector side. Negative cables connect to the engine block and supply grounding for the ignition system. The smaller wires go into the chassis and enable a return path for the electrical components. 4.2.1 How to Replace Negative Battery Cable? Trace the negative battery cable where it connects to the electrical parts and your battery. Remove the cap from the terminal of the battery and use a wrench to undo the clamp. Now twist and turn the cable to detach it from the battery post. Next, detach the smaller wires from the electrical parts and unbolt from the engine block. Positive battery cables are larger and red. They are used to connect the battery to the starter motor and the electrical system. Negative cable is smaller and black. It is used to ground the electrical parts and connect to the negative post of the battery. If you want to connect the battery to different electrical parts, you will need a positive battery cable. 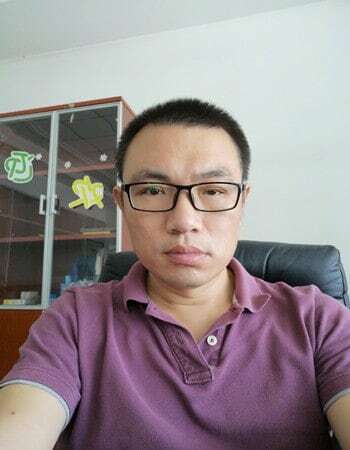 On the other hand, negative cables are suitable when you want to ground your ignition system and provide a return path for the current from the electrical components. We can help you zero in on the right type of battery cable to use in your car or solar panels. You can also place custom orders and specify the length, width, diameter, colours, terminators and other specifications. Cloom Tech provides tailor-made services to match your quality demands- contact us today to find out more!